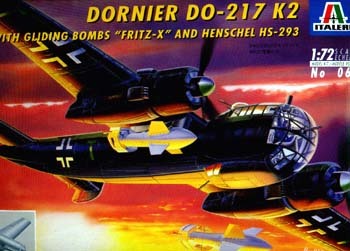 The Do217K was a beefed up and over-burdened medium bomber throughout World War 2. Having its start before the conflict as the Do17, changes in engines and crew cockpit developed it into a different aircraft from its meager beginnings. The K-2 craft had a longer wingspan and was capable of carrying the Fritz-X and Henschel-293 gliding bombs. A few of these aircraft saw service as maritime and coastal attack bombers with lll/KG 100. The venerable Do217K-1 Italeri kit has been around the block for quite some years. 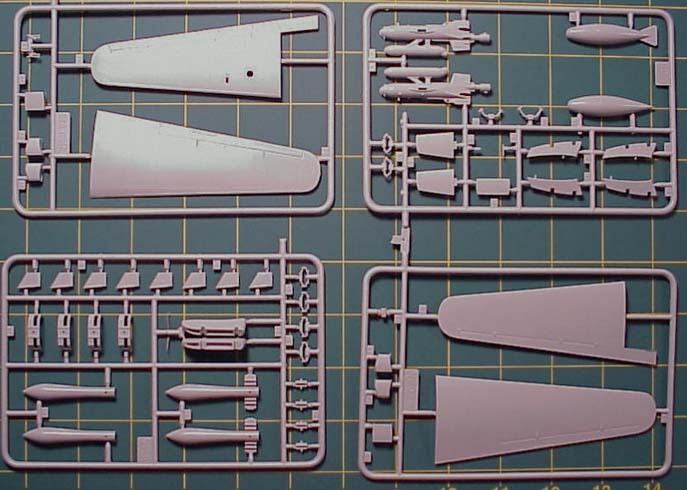 The latest installment sees the inclusion of two new sprues for the additional wing length two Fritz-X, one Hs-293 bomb with an under wing fuel tank for the other wing. The original kit has changed a bit over the years primarily in the engine area, a simple engine face with cylinders instead of the double row of cylinders, which always gave this area some better depth. 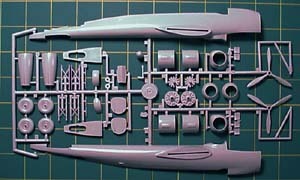 Not withstanding that change, the rest of the original K-1 kit is presented in standard medium gray plastic resplendent with raised panel lines. 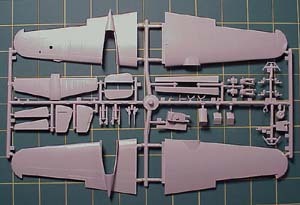 Additional outer wing panels also with raised features are included on a separate sprue. 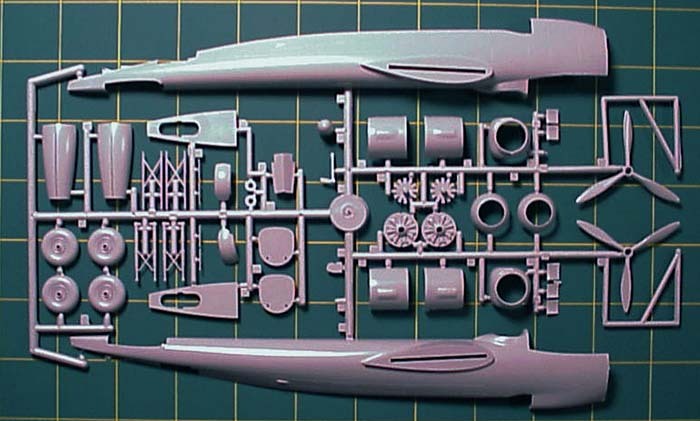 So both K-1 and K-2 versions can be built from this kit. The general cockpit layout is similar to all Italeri Dorniers of this type, simple seats (more like chairs), a semi-accurate floor and instrument panel with decal, and four gun stations. This area could use with a bit of after-market detailing. The cockpit glazing is clear but thick and as memory serves me, fits pretty well. Ailerons, rudders and elevators are separate pieces, something we seldom see but make for more believable looking control surfaces. Flash is minimal considering the age of the kit, and fit is general good with little filler being need. 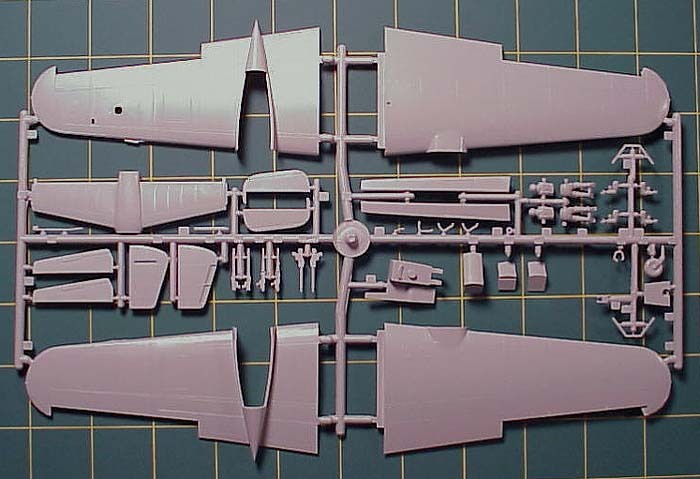 The instructions would have you cut off the wing tips outside of the ailerons to insert the extended wing panels for the K-2 mark. Since the cut is at the panel line it makes for a bit easier transition. 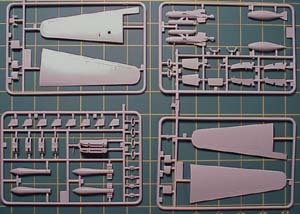 The Bombs are not the old Condor kits but are totally styrene, no etched metal and look very realistic for 1/72nd scale. Good reference material on the Do217 series is widely available from various sources. 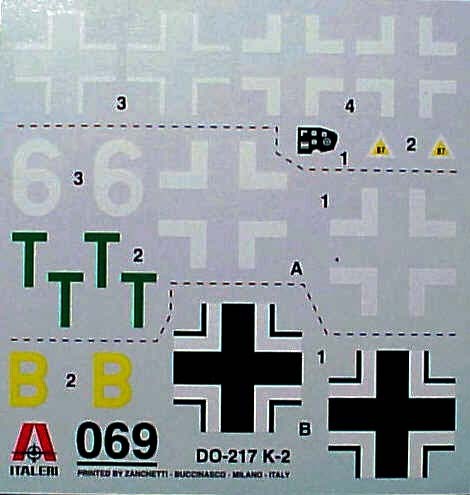 I have the Polish 'Air Show' booklet, which has scale drawings of the major marks and a brief description of the Italeri kit, and its faults. Unfortunately the text is in Polish but it does show some additional work on the fuselage width to be necessary! 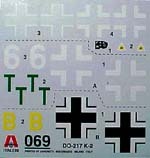 Decals are flat finish with plenty of film to trim; they, of course, lack any swastikas and small stencils. Given a good clear coat of Future over the painted model they should settle down with little trouble. I for one would love to model this variant of the standard Do217 along with the additional wing span and armament. Having some photo etched enhancements for the interior and exterior would do this kit justice and might just make this an eye-popper at the show!